Be still for a while this morning and evening reflecting on God's Word. Draw near to God confidently, boldly making your requests known. Be assured of his unwavering love for you. Unashamedly ask him for strength, joy, peace, and hope. 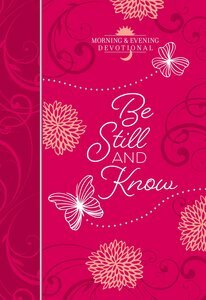 About "Be Still and Know: Morning & Evening Devotional"